Superb Location In The Village Of Old Brookville Between Two Country Club Golf Courses. 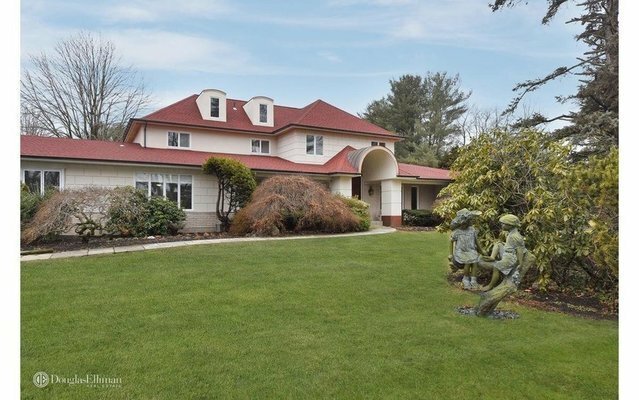 Picture Perfect 3.15 Flat Acres With Gunite Pool And Slate Patio. Recently Updated Grand Interior Open Floor Plan Includes Great Room With Fireplace. New Kitchen/Gas. Master Suite On Main Level, Luxurious Bath And Huge Dressing Room Closet. Over 5,000 Square Feet Of One Floor Living Plus Additional Bedroom And En-Suite Bath On Second Floor. A 4-Car Garage. A Great Home Office. Unique Offering--Call To View!